A cost-benefit analysis should be completed before making this decision for your branch office. Start by considering these pros and cons of each. More providers offer internet connections than MPLS service across the United States. Cable modem providers and wireless internet providers can also be used for internet connectivity for branch offices; this enables it to be more widely available across various locations. Also, IPsec and SSL VPNs are very secure if configured properly and if the devices establishing the VPN are up to date with their patches. The major disadvantage of using an internet VPN is the performance. Internet traffic has higher latency and jitter than an MPLS circuit. You are susceptible to more jitter because of routing path changes between the various carriers across the internet. This can also decrease the voice quality. Further, QoS configuration options are limited with an internet VPN because over the internet you would have multiple carrier networks, and QoS markings can be a challenge or impossible to configure with multiple carriers. You can only configure QoS across the first one or two hops for the equipment you manage. After that, it is all best-effort communication. Due to the internet being a best-effort medium, the service provider cannot offer a service-level agreement (SLA) that guarantees a specific performance for your traffic. A beneficial option of MPLS is that you can place your data into different categories, and each one can have a specific priority and your carrier will honor these end to end. Since voice traffic is almost always prioritized over other traffic, this will lead to better performance for the voice traffic. Most organizations classify their traffic so that real-time voice and video services are given a much higher preference during times of congestion. This is because of the sensitive nature of voice and video traffic during times of high traffic utilization. MPLS service providers offer SLA for your traffic and can reimburse you when they do not meet the requirements. Also, MPLS networks are easier to troubleshoot because it can involve only one carrier’s network. Another benefit of having only one carrier is that it can help reduce jitter and delay. Voice quality is very sensitive to jitter, and since MPLS provides a more consistent hop path, you do not need to worry about the frequent routing and switching changes that occur on the internet. MPLS carrier traffic is tagged and segmented from other users on the specific carrier’s network. This makes MPLS a secure medium. For additional security, some organizations will decide to encrypt their traffic across it. One significant disadvantage of MPLS is its cost. It is more expensive than standard internet connections—sometimes four to five times the cost of an internet circuit—and many managers have trouble justifying this additional cost. Another disadvantage is MPLS is not available at all locations. It can be a challenge to get the circuits installed at certain remote locations. Since internet circuits can cause voice signals a variety of quality issues, it is best not to use an internet VPN for branch sites that will have call center services or have employees who require the best quality for voice communication. For those sites, it is best to pay the additional cost and run it across an MPLS network with end-to-end QoS. I've even monitored stable IP voice communication for long periods of time on MPLS networks without QoS configured on the circuit, but this was on circuits that had less than 50 percent average utilization. If the employees at the remote branch site don’t use their phone services on a regular basis and consistent quality is not critical, it may be worth it to run it across a high-bandwidth internet circuit and save the additional cost. I've observed IP voice communication across the internet to be tolerable with only minor interruptions throughout the day. If you decide to use an internet VPN, it is important to notify end users there could be issues with voice quality. The key point before deciding whether to select internet VPN or MPLS is to perform a cost-benefit analysis and to make sure your end users at the remote and corporate sites provide input for the analysis. 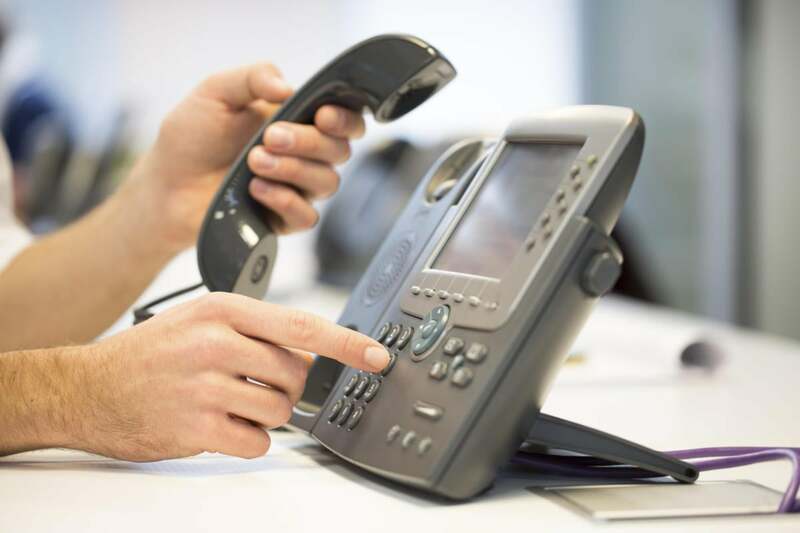 It’s crucial to get the end users’ perspective to find out how much they plan to use their IP phone and how critical is it to receive consistent quality. If the branch staff will communicate with customers, it is important to get their input on the need for consistent voice quality. When performing the analysis, make sure each stakeholder rates how much they value good voice quality. A low rating on the need for voice quality may encourage the use of an internet VPN, and a high rating should support the use of MPLS. Also, obtain multiple quotes for internet and MPLS services so cost differences can be compared. Ensuring all stakeholders take part in the process will help you make the correct decision that is based on not only cost, but also user input.